“Brad Moorcroft (Bass), Tris Ellis (Drums) and Adam Hume (Rhythm Guitar, Vocals) and Obi Davis (Lead Guitar). We are The Dangerhounds, a Leeds based indie rock band taking influence from the likes of Kings of Leon, The Wombats and The Strokes. The Dangerhounds are a high energy band who specialise in catchy, energizing, sing-along choruses that are tough to not tap your feet too”. I know what Adam Hume is capable of and how well his voice can blend into any scenario- if you have not heard Shiftin’ Shade’s collaborations with him- https://soundcloud.com/shiftin-shade- then make sure you investigate. Having made his impression on some stunning Electro.-Swing songs, it is great to hear him front a new band with a huge amount of potential. The guys are not your everyday Indie-Rock band that sounds like everyone else. Although they take inspiration from a wide range of acts- including The Wombats and Razorlight. Commentators and fans have noted how stunning the melodies are; the tight and wonderful rhythms get inside the head- the emotional and impactful vocals take you by surprise. It is hardly surprising to see Yorkshire provide another wonderful artist. Having spent a lot of my writing career here- and assessed so many terrific acts from the county- The Dangerhounds mark themselves as names to watch as we slip into 2016. 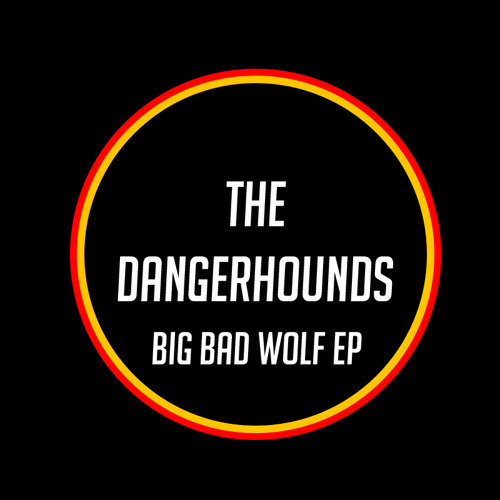 Their Big Bad Wolf E.P. was dropped earlier in the year and has already garnered some serious radio play- played in full on B.B.C. Radio Yorkshire- Hume plays all the parts on the E.P. ; the rest of the band will combine for a live-version E.P. soon. The three-track E.P. is a focused and memorable collection and shows how to make an impact. With their music being played in the U.S. too, it is evident the chaps are going to have a busy new year and take their songs far and wide- I would not be surprised to see them embarking on some transcontinental sojourns very soon. The Dangerhounds effortlessly mingle Pop and mainstream sing-along into something grittier and with Rock edge. Their music evokes impassioned crowd reactions and gets inside the head- compelling you to come back time and time again. The Dangerhounds are showing you do not have to replicate other bands too obvious in order to connect with crowds and get your music noted. The Dangerhounds are going to ensure they are standing shoulder-to-shoulder with the best of them. Big Bad Wolf E.P. is a mission statement that marks them as one of the groups to watch closely. When it comes to The Dangerhounds, it is hard to compare their current work with older sounds- seeing as their E.P. is their first real offering for the music world. The guys used to be a three-piece but added a fourth member to make their sounds even more hard-hitting and rounded. The band is constantly developing and evolving; working on their sound and picking up as much live experience as they can. If you are new to the quartet then it is advisable you seek out some of their influences to see where they came from. The Wombats are a band renowned for their singalong choruses and hooks; they have never really grabbed the critics are gained huge commercial success. The Dangerhounds excel where The Wombats fall down yet they do take a little bit of their essence into their own sounds. Like The Wombats our boys employ wit, heart and passion into their music; wrap it up in uplifting and effusive choruses- to create fevered crowd singalong and captivating moments. Their Glitterbug album (released) this year was their best-received effort: the polished and infectious album mixed ‘80s Electronica with ‘90s ‘Britpop’ sensations. Layered, kinetic and in the mood for a party; the album fared better than past works- signalled a resurgence for the band. The Dangerhounds have a similarly bold and memorable approach to their music. The compositions mix subtleties with late-night haze and music that compels the feet to move. "The E.P. was recorded before there was a band, they were just demos that I made. The live versions are the same songs; they just have slightly different drum fills etc., that human aspect. We're recording a live E.P. soon". The title track to the band’s E.P. ensures attentions and souls are gripped from the very first seconds. A gritty, concrete and rumbling introduction summons so much passion and grumble that you are powerless to resist its animalistic prowl. With its heart in the realm of ‘00s Punk- again the likes of The Strokes come through in the introduction- our hero arrives at the microphone with intention and swagger. It is the way Hume utters and pronounces the lyrics that really stick in the mind. When he delivers the line “It’s going to be one of those nights” he stutters the ‘n’ in night- creating a twitchiness and potency that cannot be overlooked. Like Santiago and Stop Crying, there are self-doubts, anxieties and stresses early on. It seems like Big Bad Wolf is a song that is apt considering its title. Perhaps a concept album or a slice into his state of mind; each track on the E.P. shows emotion and confession- the title track is probably the most intense and memorable of the three (tracks). Our man is walking the streets and encapsulated within the glow of the neon lights. With a heroine by his side it seems like daggers are being cast to the side of his head; that glaring look is causing him some tension and unease. It is not clear whether that looks is meant hatefully or sexually- whether there is tension and argument or some foreplay at work- yet our hero seems in anxious mood. The stuttered vocal and unique pronunciation gives the track an originality and energy that is impressive and memorable. The girl is a “wrecking machine like you’ve never seen”- leading me to believe that there is something more negative and fraught being assessed- with our man caught in the spell and swirl. You notice little touches in the song that add to the curiosity and quality. The bass neatly tees-up the guitars and creates an underlying tension and intensity; the guitars then explode like fireworks to convey that emotion- the drums crackling like gunfire. With so much attention towards compositional dynamics and nuance; you get a song that is layered and wonderfully assured; a tight performance that must be commended. Our hero’s voice drips with emotion and soul; aching and yearning in equal measures- one of the most impressive vocal performances across the E.P. The girl is the big bad wolf who is chomping and snarling with ferocity and carnivorous danger. Whatever has led to this attack- whether that is her personality or she has caused friction- you begin to wonder and speculate. Although Big Bad Wolf E.P. is not strictly a concept E.P. ; it can be conceived as one. The opener track here sets the scene and introduces the heroine- the opening salvo and first cracks in the dyke- whereas Santiago looks at the fall-out and self-destruction; Stop Crying picks things up the next day and the simmering tensions still there. Whether our lead has a particular girl in mind- a relationship that has been particular relevant- I am not sure yet you can hear that conviction and meaningfulness in every word. The crazy lady in question- our man delivers the ‘c’ in crazy with stutter; like The Feeling’s track Never Be Lonely but in a far superior track- is looking for that first bite and not relinquishing her quest for blood. I am not sure whether the girl is s current/former girlfriend or just some stalker-type that has latched-onto our hero. I get the impression our man knows the girl and there is a bit of history behind things. Perhaps a relationship has ended in the past but the message was not received- it appears the heroine is not one to take refusal as an absolute. That idiosyncratic delivery- the stuttered vocals and hypnotic melody- make the song such a stunner; you get swept up in the imagery and power of the composition. Whilst a lot of bands offer songs that lack concision and economy- or are too vague and thread-bare- the Leeds group remain consistently tight throughout- the tracks on the E.P. range from two-and-a-half minutes to just under three minutes. The guys know how good their music is- they get their message across quickly and effectively- and the fans have responded appropriately. Big Bad Wolf is the most popular track and it is not hard to see why. From that mesmeric introduction, you do not get a chance to breathe and relax- the song remains exhilarating and spellbinding to the very last. By the 1:40 mark the chorus comes to an end and there is a slight pause in the second; it begins to build as our hero unveils a wordless chorus- something the band do on each track across the E.P. - to give brief respite and reflection. Youthful rebellion mixes with Punk savage in a song that will unite younger and older fans; it crosses genres and has a honed and universal sound to it that has struck a chord with listeners. Just as you think things are starting to wane and end; the song jumps into life and the chorus comes back into the mix- the boys are masterful when it comes to subverting expectations and creating a consistently unpredictable mood. Everyone will be able to relate to the sentiments and lyrics unfolding throughout Big Bad Wolf. It is a track that sees a jilted/loopy heroine undeterred by obstacles looking to claim her man- a song here that mixes humour and with a real concern and anxiety. Our lead keeps his voice emotional and soulful throughout- Hume has such a range to his tones he is deftly able to make everything sound convincing and hugely urgent- and ensures the song never loses its magic and sparkle. The band keep that raw energy and passion burning to the very last- it is the tightest and most rounded composition on the E.P. By the final notes you wonder how things worked out- and whether our hero managed to evade the wolf and her blood-thirsty lust. If you interpret the E.P. as a storyline/concept then he managed to evade her- perhaps only briefly to his regret. Big Bad Wolf is one of the most direct and clear songs on the E.P.- its message is quite evident and it is the least oblique track here- making it perhaps the most accessible and immediate the band have created. Kudos must be given to Hume as a performer, but first of all, the production and mixing must be congratulated. A lot of music is ruined because of poor production values and mixing. A lot of times the vocal is mixed far too low in the mix- it is the most important aspect so why do it? - making it hard to understand the lyrics and what is being said. At other times the guitars and drums and too low and they lose their intention and potential. It is hard to get that balance just so; when you do it brings the song fully to life. Across the E.P. - and especially on the title track here- every element and instruments is perfectly brought together to create a polished and crackling track- one that is near-impossible to ignore. The song sound polished and clear but retains its unique edge and Punk attitude. Great attention has been given to ensure the song is as stunning and memorable as it could be. Fans and commentators have commended the production values throughout and how assured they are. Our man make Big Bad Wolf such a snarling and stunning beast. The bass is a guiding light that keeps the track in-check and offers a sonic snarl and sense of misadventure. Eliciting grooving rhythms and snaking hips; it weaves inside the composition to propel the vocal and drums- creating a stunning partnership with the guitars. One of the most intuitive and unique bass sounds around; it is great to hear someone with so much authority and command at work. The percussion is delivered with a lot of force and passion- although Hume claims the band version will be a lot sturdier with better fills; the drums are midi and the guitars are all re-amped in software from D.I .recordings. Hume combines guitars to create intense emotion and endlessly impressive moments. Across Big Bad Wolf you get so much vibrancy, emotion and savageness- perfectly backing the song’s lyrics and themes. Never too forceful or intense, what you get are performances with plenty of nuance and depth- they perfectly sit with the drums and bass. Perhaps the biggest impressions are made by Hume (as a singer) himself whose vocal is at its intense and impassioned best. Some singers have vocal tics and idiosyncrasies and Hume is no exception. Those stuttered syllables and wordless utterances transcends his performances above those of his peers- one of the most assured and inventive singers on the block. Having worked with other artists- and given the chance to let his voice work in various genres and scenarios- it shows across the song. Never nervous or unsure, Hume elicits so many shades and sides throughout the title track- bringing in his previous experience and showcasing the full extent of his voice. Leading the music with enormous conviction and emotion; you have a front-man that is at his best here- you can see him getting better and stronger with every song the band produces. Big Bad Wolf is a perfect E.P. opener and a song that is statement of intent from one of the U.K.’s hottest propositions If you have not heard the Leeds act in full flight, then this is the perfect place to start. The live versions will come soon- a new live E.P. will see the full band incorporate parts rather than Hume alone. Big Bad Wolf E.P. is a trio of songs that will stick in the brain for weeks to come. So many effete and aimless bands are out there so it is rewarding and fantastic seeing a group come through that offer long-term potential and terrifically assured music. The connection and bond creates dynamic tension, emotion and uplift; stunningly evocative singalongs and tenderness too. So much colour and passion goes into the blend it is not a surprise The Dangerhounds have captured the heart of so many listeners. Hume marks himself out to be one of the most nimble and striking singers on the scene: capable of turning any song into a stone-wall classic. Offering astonishing bass, guitar and drum support and you have a tight-knit group that are going to be festival favourites in no time. Before I give a mini-review of the E.P., it is worth circling back to the concerns of Indie-Rock, lack of originality and what you need to make an impact in 2016. I hope Indie-Rock bands coming through take heed and concentrate on their music before releasing it to the public. I get the feeling too many groups are lazily copycatting their influences and rushing their music- negating the importance of original voice and personality. I have witnessed too many bands dissolve and crumble due to lack of support and disharmony within their ranks. To survive and flourish in the music world you need to craft music that has your own stamp on it. The likes of Foo Fighters and Queens of the Stone Age seem to find themselves reincarnated in too many up-and-coming acts- it is disheartening to find so few original bands coming out. When you do find a group that dares to be different- understanding the vitality of straying from the pack- that is when you get excited and start to find hope. Our Leeds quartet (Hume for now; he will be joined by his band-mates on the live E.P.,) has some clear influences- The Wombats, Razorlight and The Strokes especially- yet they are never too obvious and worn on their sleeves. What you find is a little essence of each at certain moments; when the mood calls Hume teases in a bit of other acts- ensuring their music has that blend of originality and familiarity too. I have paid tribute to Yorkshire and how fertile the county is; just how many fantastic acts are hailing from the county. I have given up trying to explain the reason behind this prosperity yet it might be something to do with the people and climate there. Perhaps less stressful and crowded than London and the north-west, Yorkshire acts are among the most spellbinding and carefree I witness. Of course every band and musician is tense and gets stressed; Yorkshire musicians come across less suffocated and harried than their southern peers- as a result the music has room to shine and breathe. I am sure Yorkshire will be stamping some terrific new acts and bands into the following year- ensure you keep your eyes trained here. The Dangerhounds offer something distinct and new- not just recycled sounds like so many others- they ensure emotion and depth mingles alongside something gritty, hard and impassioned. With so few bands digging deep and offering singalong moments- there is a certain seriousness that is pervading the scene- it is refreshing to see someone ensure that kinetic energy and layered music evoke something wonderful. It is hardly coincidental The Dangerhounds are enjoying rich rewards and seeing their social media numbers rocket right now. The year is almost through and January/February are months vital for new acts- whether you are touring or releasing new music; it is important to make a big impression early on. The Dangerhounds will be hitting the road and planning their next moves; making sure they remain in the consciousness and get ahead of their contemporaries. Big Bad Wolf E.P. is a collection that showcases huge potential and consistently exceptional songwriting. It hints at just what it to come and how far they can go. It will be great to hear the live E.P. and see the rest of the band take on Hume's parts- and give new life to the songs. Santiago is the E.P.’s second track; a number that begins with a frantic ramble and urgency. Reminding me of The Strokes and The Libertines; you get that street-level Punk vibe and a youthful spirit that has been lacking in music lately. Hume ensure all of the tracks begin with a kick and race; keen to get the listener hooked and seduced within the first few seconds. The Chilean capital is a great song title and something that got me interested before I heard a note. After that avalanche of guitar notes and percussion pound; the mood starts to level and our hero comes to the microphone. It seems our man wakes up each morning with a “little less dignity”. Perhaps going through a tough time or feeling the effects of ageing- despite his tender years- you hear a voice that is brimming with emotion and openness. Riding that reliable groove and stunning composition, it appears bridges are being burned and our man has fewer friends. What the circumstances are behind this change- maybe they have different ideals and goals in life- it is clear something more haunted and anxious is being ascribed. The Dangerhounds will never let the mood dip down too low- they always present sonic kicks and uplift- yet to do not betray the importance of the emotion and rawness being portrayed. Hume’s voice is effortless when upbeat and riding the wave; it is equally assured and passionate when bearing his soul and singing about harsher and more emotive themes. Backed by a fizzing and stabbing riff- that puts me in mind of Razorlight’s Golden Touch- the song keep that bristling tension and nervousness building. Our hero is thinking only of himself; selfishly ignoring others and perhaps concentrating on his own needs and wants. It is an honest and impressive perspective- few singers and bands cast self-blame and that open- but you always feel sympathy with his plight. Never cocky or lacking earnestness; that vocal remains firm and strong in the midst of self-confession and outpouring. A stunningly executed composition supports a brilliant melody that leads a hugely memorable chorus. Once more you get some wordless vocals to add to the intensity and passion; that constant upbeat and energy in the composition gives the song a ‘90s feel- think of Ocean Colour Scene, Reef and their contemporaries. Perhaps there is the recollection of a drunken night. Our boy might have woken a little worse for wear it seems. Maybe wanting to keep that momentum going, it is a call-out to a friend- to paint the town red and have fun. At its heart there seems to be a need to self-destruct slightly or dull a pain- whether a relationship break-up or something else- that lurks in the undergrowth. Evoking the raw Punk energy of The Strokes, you have a song that has anthemic swagger and a festival-ready sound- with a distinct Britishness to it. The Dangerhounds never fully sound like any other band; their uniqueness and personality always wins over. Hume has leant his voice to Electro.-Swing tracks- with their heart in the ‘30s and ‘40s- and manages to convey an old-time, vintage sound to the song. Mixing decades together seamlessly- hoping between the ‘30s, ‘90s and present-day- you get a performance with a huge amount of depth and nuance. Santiago has a radio-friendly sound to it that will appeal to the mainstream yet remains raw enough to translate into the festivals and live arenas- striking those that prefer their music on the harder side of things. The lads remain compellingly tight and addictive throughout. The percussion is a constant avalanche that creates a wonderful backbone and drive. With the bass summoning melody, rhythm and a huge amount of energy; it backs the guitars which are insatiable in their intensity and power. A brilliant and uplifting track that stays inside the head and provokes you to listen to it again and again- no mean feat in the modern climate! GIVING Indie-Rock the kick it needs.